Their new Px classes for example are basically the equivalent (and expanded upon) of the old Sx classes for pedestrian and bicycle paths. 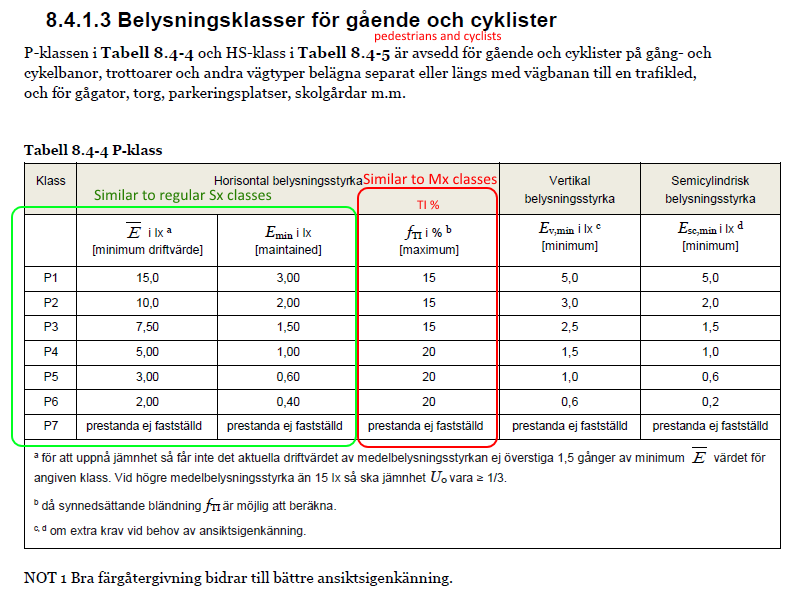 This time they also include disability glare (synnedsättande bländning) similar to the demans in the Mx type classes. Would it be possible to optimize using an additional demand on TI in either Dialux or Dialux evo in order to conform to the new standard? Basically what I would want is a custom illumination class with the possibility to select all or multiple values to optimize for. As you are eventually ending developing of Dialux 4 I assume if it was implemented it would be implemented into Diualux Evo. My main question is if there is any way to edit the illumination classes in Dialux 4? 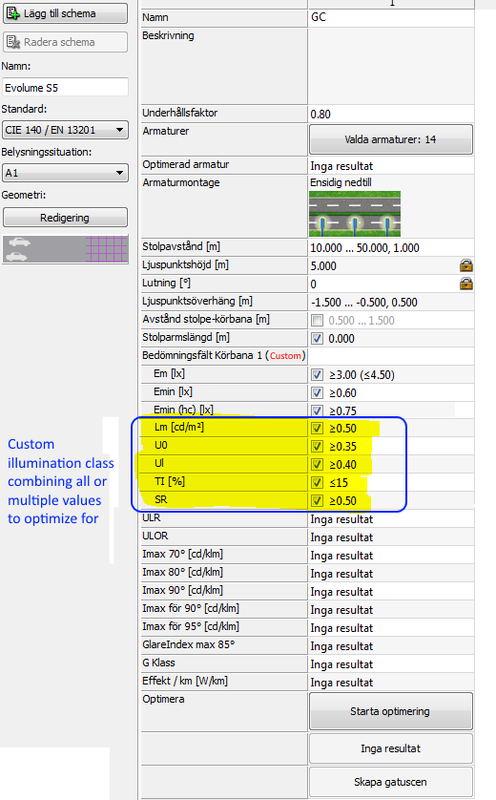 If you implemented the feature to manually select which values to optimize for you would also make your software ready for any local EU standards changing. 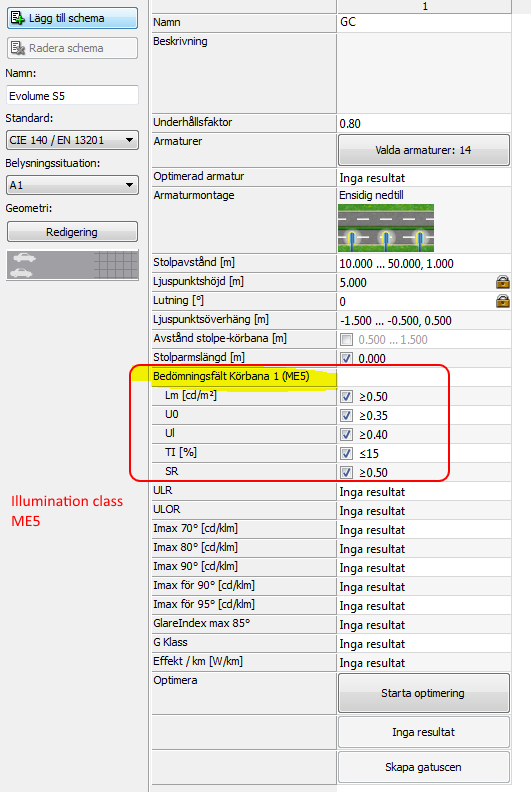 Re: Custom illumination class parameters? 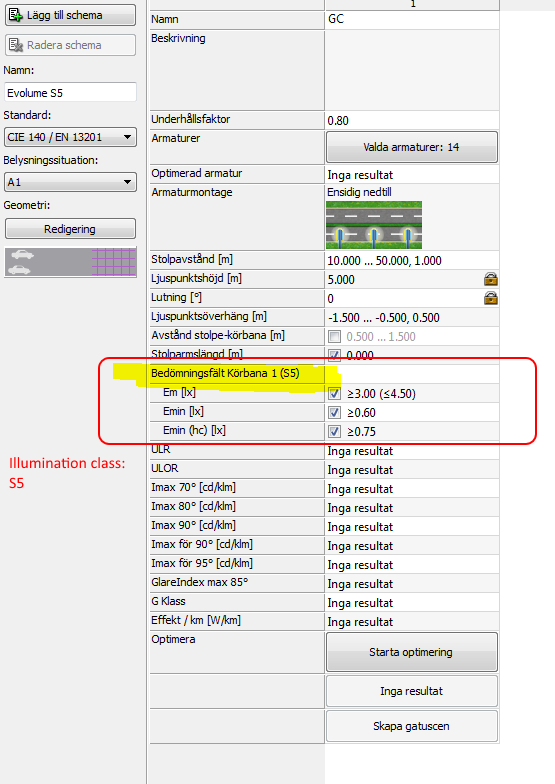 Unfortunately it gives no way in our DIALux 4 software to edit the illumination class by yourself. But I will put your wish on the improvement list for our DIALux evo software.